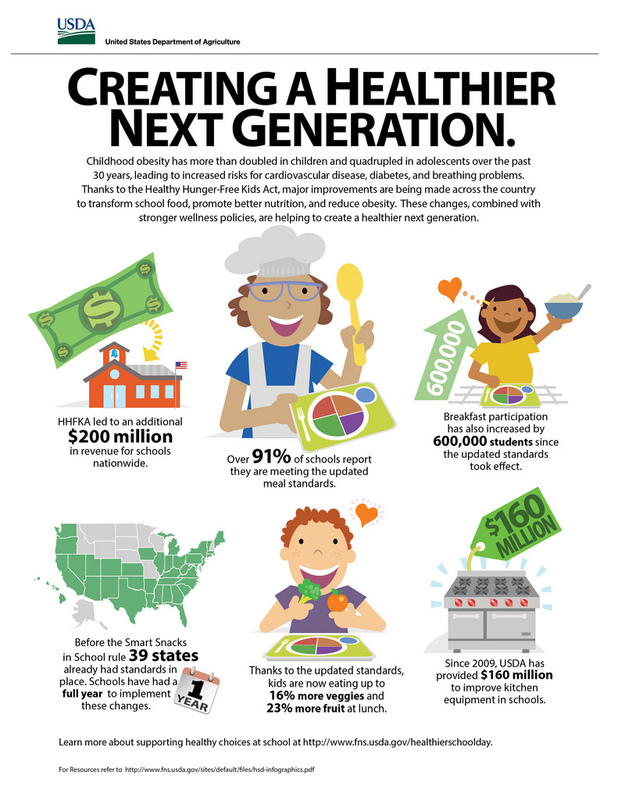 Thanks to the Healthy, Hunger-Free Kids Act of 2010, students across America are being served meals with more fruits, vegetables, whole-grains, lean protein and low-fat dairy. Parents can send their kids to school knowing that the healthy habits they teach at home are being reinforced at school, with breakfast and lunch menus that provide more of the foods we should eat, and less of the foods that we should avoid. Parents, teachers, school nutrition professionals, communities, and policy makers are working hard to make sure that school environments support a healthier next generation. And these efforts are working. Kids are consuming more healthy food, and school breakfast participation is increasing leading to better test scores and increased attendance. As we move forward with the implementation of the Healthy, Hunger-Free Kids Act, it’s clear that the school day is becoming healthier. 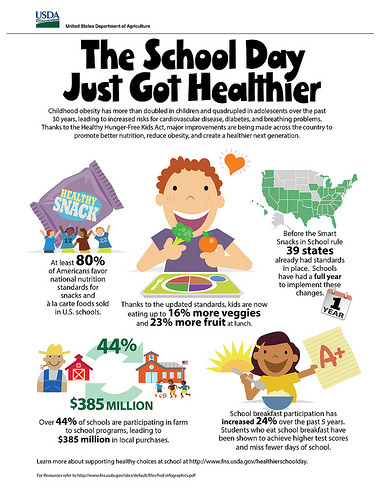 For more information on supporting healthy choices at school, please visit: www.usda.gov/healthierschoolday.